Who can argue with the merits of defending human rights? Canada has recently entered into a nasty row over this vaunted universally, or acclaimed value, with the Saudi Kingdom. The officially stated reason being? The Liberal government’s very principled publicly pronounced stance regarding human and woman’s rights. But moral principles rarely deterred Ottawa from doing business in some states such as Egypt or the Philippines, both with questionable human rights record, at best or which are simply known to be brutally repressive regimes at worst. The conduct of Canadian companies backed by embassies and trade delegation’s lobbies, especially in the mining and extractive sector, abroad hardly abides to these principles either. And as the civil war in Yemen continues to cause more civilian deaths, the controversial arms sale which the Liberals signed off on to, in view of the rumble between Ottawa and Riyadh looks very much at odds with Canada’s Panglossian declarations in defence of individuals’ rights and freedoms. But a news story which went under the radar screen with even greater implications for compromising the Liberal’s on their lofty stated principles is the military engagement in Ukraine’s four year old civil war. While Canadian government readily condemns what its calls “serious violations of human rights”, in Crimea its seems to turn a blind eye to the rising infiltration of extremist fascist para military groups such as the Azov division inside the Ukrainian army’s regular ranks and recruits. Yes, folks, ideological descendant of Ukrainian SS Galician Division, responsible for the murder of thousands of Jews, tens of thousands of Poles and Ukrainian anti fascists during the wartime of occupation of western part of the country, are now integrated into the Ukrainian National Guard! “The more things change, the more they remain the same”, as the saying goes. But even more ominous and sinister is this. The sale of “lethal weaponry” to Ukraine is almost a done deal by now. And with an ultra Ukrainian nationalist sympathizer, and herself a “proud” Canadian of Ukrainian heritage still on her increasingly shaky “Global Affairs ” perch, Foreign Minister Ms Chrystia Freeland (previously International Trade Minister when the deal was being negotiated), will not hesitate to complete the arms shipments agreement, even though it clearly violates the Minsk agreements. A Case Study in the Sociology of Human Rights”, which clearly shows geopolitical and corporate interests always trumps over moral considerations. The research paper also exposes the humongous approach beneath the virtue based diplomatic speak, and reveals contradictions between espousing human rights rhetoric while undermining them at the same time in specific a “target country”. These aspects are revealed in Canadian government’s support of the Indonesian regime under a previous Liberal governments. However you spin it, the tiff between Canada and Saudi Arabia isn’t the first time a major arms exporter country overlooks human rights consideration for profit. 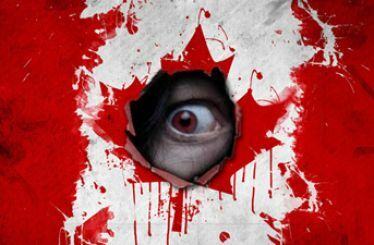 What is unique is the extraordinary efforts taken by Ottawa to feign concern for human rights internationally. This simulacra looks increasingly like it’s all fluff and guff; so when it comes to making that “real deal” happen, human rights are expendable and so are people.